Jason was raised in Northern Victoria and also spent four years in Papua New Guinea where his parents worked as missionaries. After school, Jason felt God calling him into missions and responded by working with Youth With A Mission in California for four years. Kim grew up in Essendon (Vic) and graduated with a Teaching degree. She fulfilled a childhood dream to work in Africa when she worked in Ethiopia as a teacher for SIM (Serving In Mission). 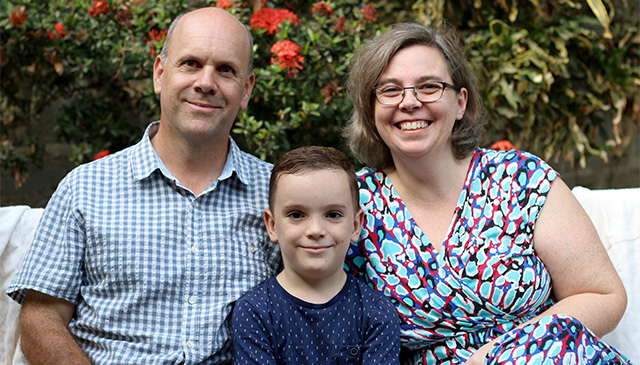 Jason and Kim married in 2006 after returning to Australia from their ministry work abroad. After they were married they both felt the call of God back into missions, but this time as a couple. With a view to serving God as a pilot, Jason obtained his Commercial Pilot’s Licence through the Australian Centre for Mission Aviation and joined MAF in Arnhem Land in September 2011. They served in Arnhem Land for four years, working in Numbulwar and Elcho Island, before recently relocating to Timor-Leste. Timor-Leste has a great need for MAF’s help, especially to provide medical evacuation flights for ill people located long distances from the hospital in Dili. Please pray for us as we live and work in Timor-Leste, loving and serving the people we encounter each day. Therefore, as God’s chosen people, holy and dearly loved, clothe yourselves with compassion, kindness, humility, gentleness and patience. … And over all these virtues put on love, which binds them all together in perfect unity. … And whatever you do, whether in word or deed, do it all in the name of the Lord Jesus, giving thanks to God the Father through him.